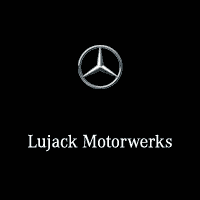 This beautiful Mercedes-Benz is proudly offered for sale by Lujack Motorwerks! This particular vehicle has been used as a loaner vehicle in our service department to meet the needs of our guests as they have their current vehicle serviced with us. Because of this, there is a SIGNIFICANT benefit to you in the form of extra manufacturer incentives available on the purchase of this vehicle. Don't miss your chance to own this great vehicle for MUCH less than others!! **Some of these vehicles are still being used by our customers as loaners, as they are needed, so please confirm the exact miles with someone on our staff for complete accuracy.This beautiful Mercedes-Benz is proudly offered for sale by Lujack Motorwerks! This particular vehicle has been used as a loaner vehicle in our service department to meet the needs of our guests as they have their current vehicle serviced with us. Because of this, there is a SIGNIFICANT benefit to you in the form of extra manufacturer incentives available on the purchase of this vehicle. Don't miss your chance to own this great vehicle for MUCH less than others!! Polar White 2019 Mercedes-Benz E-Class E 300 4MATIC®® 4MATIC®® 9-Speed Automatic I4 4MATIC®®. 21/29 City/Highway MPGPolar White 2019 Mercedes-Benz E-Class E 300 4MATIC®® 4MATIC®® 9-Speed Automatic I4 4MATIC®®. Obsidian 2019 Mercedes-Benz E-Class E 300 4MATIC®® 4MATIC®® 9-Speed Automatic I4 4MATIC®®. Recent Arrival! 29/21 Highway/City MPGObsidian 2019 Mercedes-Benz E-Class E 300 4MATIC®® 4MATIC®® 9-Speed Automatic I4 4MATIC®®. Scores 29 Highway MPG and 21 City MPG! This Mercedes-Benz E-Class boasts a Intercooled Turbo Premium Unleaded I-4 2.0 L/121 engine powering this Automatic transmission. Window Grid Antenna, Wheels: 18 5-Spoke, Valet Function. This Mercedes-Benz E-Class Comes Equipped with These Options Trunk Rear Cargo Access, Trip Computer, Transmission: 9G-TRONIC Automatic -inc: Steering Wheel Shift Paddles, Transmission w/Driver Selectable Mode and TouchShift Sequential Shift Control w/Steering Wheel Controls, Tracker System, Tires: All-Season, Tires: 245/45R18 AS, Tire Specific Low Tire Pressure Warning, Systems Monitor, Side Impact Beams. Visit Us Today Test drive this must-see, must-drive, must-own beauty today at Lujack Luxury, 3602 North Harrison Street, Davenport, IA 52806. Scores 29 Highway MPG and 21 City MPG! This Mercedes-Benz E-Class boasts a Intercooled Turbo Premium Unleaded I-4 2.0 L/121 engine powering this Automatic transmission. Window Grid Antenna, Wheels: 18 5-Spoke, Valet Function. Trunk Rear Cargo Access, Trip Computer, Transmission: 9G-TRONIC Automatic -inc: Steering Wheel Shift Paddles, Transmission w/Driver Selectable Mode and TouchShift Sequential Shift Control w/Steering Wheel Controls, Tracker System, Tires: All-Season, Tires: 245/45R18 AS, Tire Specific Low Tire Pressure Warning, Systems Monitor, Side Impact Beams. Test drive this must-see, must-drive, must-own beauty today at Lujack Luxury, 3602 North Harrison Street, Davenport, IA 52806. Polar White 2019 Mercedes-Benz E-Class E 450 4MATIC®® 4MATIC®® 9-Speed Automatic 3.0L V6 BiTurbo 4MATIC®®. Recent Arrival! 19/26 City/Highway MPGPolar White 2019 Mercedes-Benz E-Class E 450 4MATIC®® 4MATIC®® 9-Speed Automatic 3.0L V6 BiTurbo 4MATIC®®. designo® Diamond White Metallic 2019 Mercedes-Benz S-Class S 450 4MATIC®® 4MATIC®® 9-Speed Automatic 3.0L V6 BiTurbo 4MATIC®®, Sahara Beige w/Leather Upholstery. 18/28 City/Highway MPGdesigno® Diamond White Metallic 2019 Mercedes-Benz S-Class S 450 4MATIC®® 4MATIC®® 9-Speed Automatic 3.0L V6 BiTurbo 4MATIC®®, Sahara Beige w/Leather Upholstery. Obsidian 2019 Mercedes-Benz E-Class E 63 S AMG®® 4MATIC®® 4MATIC®® 9-Speed Automatic 4.0L V8 4MATIC®®.Obsidian 2019 Mercedes-Benz E-Class E 63 S AMG®® 4MATIC®® 4MATIC®® 9-Speed Automatic 4.0L V8 4MATIC®®.